UNION, N.J. /ScoopCloud/ -- IN CONCERT: Friday, February 8 - 8 p.m. - UCPAC's Hamilton Stage in Rahway, N.J. The group of people (over 100+ voices) that make up the powerhouse choir, JUBILATION, are a force in the industry. 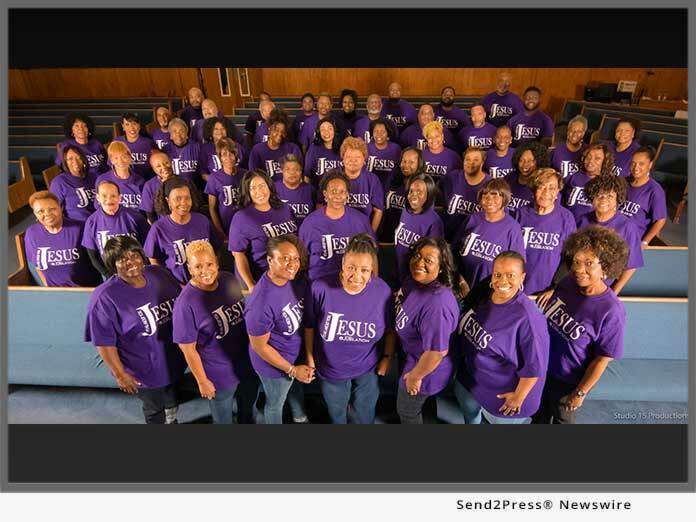 Established in 1998 through the New Jersey Performing Arts Center (NJPAC), the choir made its debut at the NJPAC's second-annual Martin Luther King, Jr. Celebration featuring the legendary gospel minister and singer, Shirley Caesar. That performance set the tone for what would become more than a decade of excellence and a dedication to praise and worship. Four years after its formation the choir launched a traveling choir, VOICES OF JUBILATION, which has ministered domestically and internationally. In fact, its first tour was held in Japan. JUBILATION has been honored to perform with Queen Latifah at the U.S. Open Tennis Championships and at the Super Bowl. A native of Newark, New Jersey, Reverend Dr. Stefanie R. Minatee - "Rev. Stef," as she is affectionately called, is the artistic director & founder of the Grammy(R)-Award winning choir, JUBILATION. She has built her life and career around music. Upon graduating from Newark's prestigious performing arts high school, she obtained a Bachelor of Arts degree in music performance with a certification in music education from Kean University. Afterwards, she spent nearly 30 years as a vocal education teacher in the Plainfield Public School District. Under the tutelage of Dr. Minatee JUBILATION has released six albums and holds the distinction as the last choir to have performed with the late music giant Ray Charles. "From The Middle Passage: An African American Journey"
Friday, February 8, 2019 - 8 p.m. IN CONCERT: Friday, February 8 - 8 p.m. - UCPAC's Hamilton Stage in Rahway, N.J. The group of people (over 100+ voices) that make up the powerhouse choir, JUBILATION, are a force in the industry.